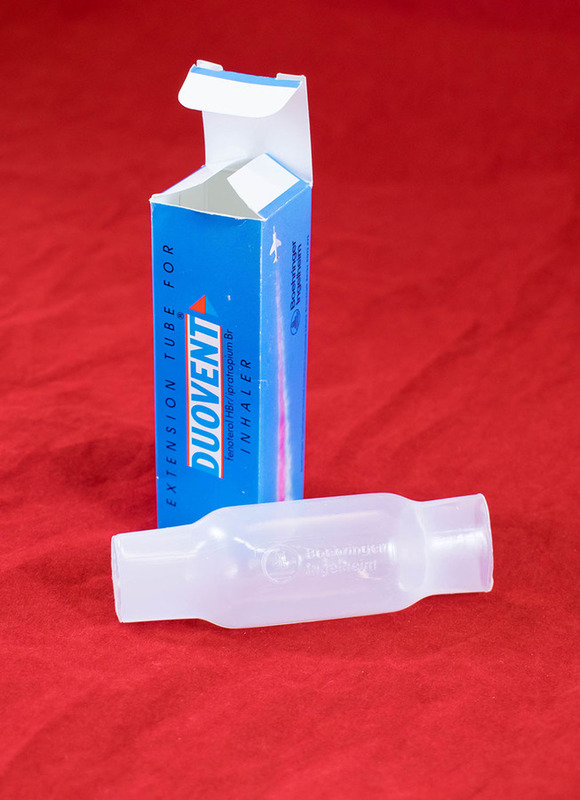 Extension/spacer tube for use with the Duovent inhaler. 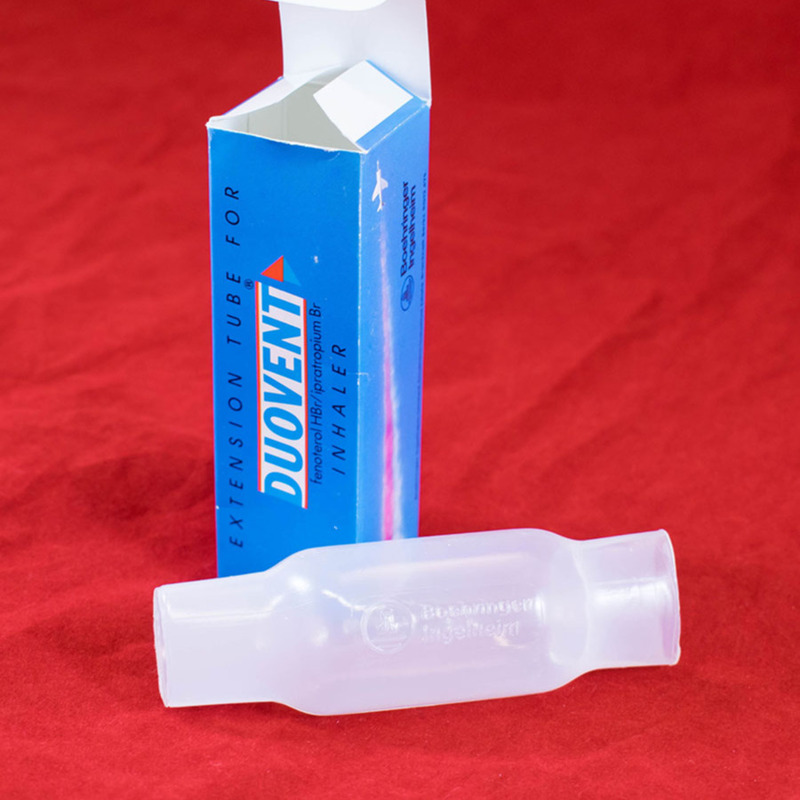 Boehringer Ingelheim; 1885-; Pharmaceutical company, “Duovent extension tube,” Heritage, accessed April 20, 2019, https://heritage.rcpsg.ac.uk/items/show/1054. 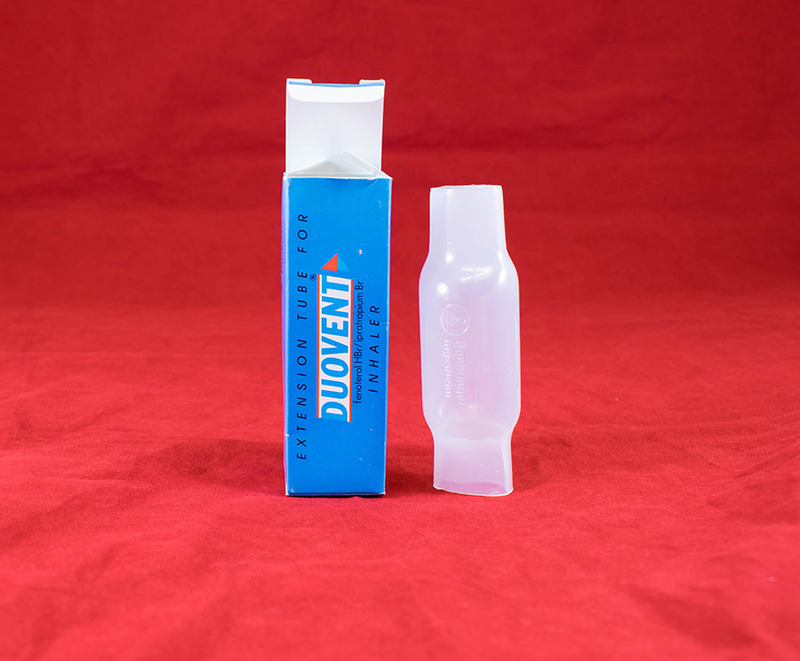 Description: Extension/spacer tube for use with the Duovent inhaler.